Update 09/14/17: This article has been updated to reflect additional signatures to the letter calling for a boycott. In a letter addressed to the UC Berkeley campus and the Berkeley community, 132 campus faculty members from various departments have called for a complete boycott of classes and campus activities during “Free Speech Week,” which will be held on campus from Sept. 24-27. The letter was co-written by seven faculty members, including campus associate teaching professor of African American studies Michael Cohen. It calls upon faculty to take three steps: cancel classes and tell students to stay home; close buildings and departments and allow staff to stay home; and not penalize students who are afraid of coming to campus. The letter was also signed by 56 individuals who aren’t part of the UC Berkeley faculty. According to Cohen, most of the students in his African American Studies 27AC class are students of color. 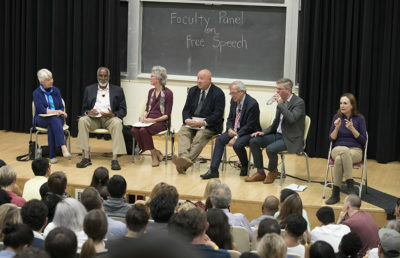 Cohen said he believed that for him to ask his students to be on campus during Free Speech Week was unethical and discriminatory. Free Speech Week is being hosted by the Berkeley Patriot, a conservative student newspaper. 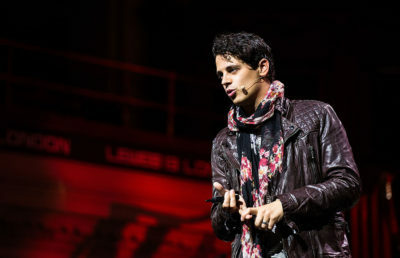 The four-day event includes themes such as “Feminism Awareness Day” and “Mario Savio is Dead.” Speakers scheduled to be on campus include Milo Yiannopoulos and Steve Bannon. Contact Audrey McNamara and Harini Shyamsundar at [email protected].